On April 26, 2016 we spent an hour doing thistle removal on the north east section of the Coastal Prairie Loop Trail. We chopped the 3' - 4' tall thistle plants in the main area and worked along both sides of the pathway. 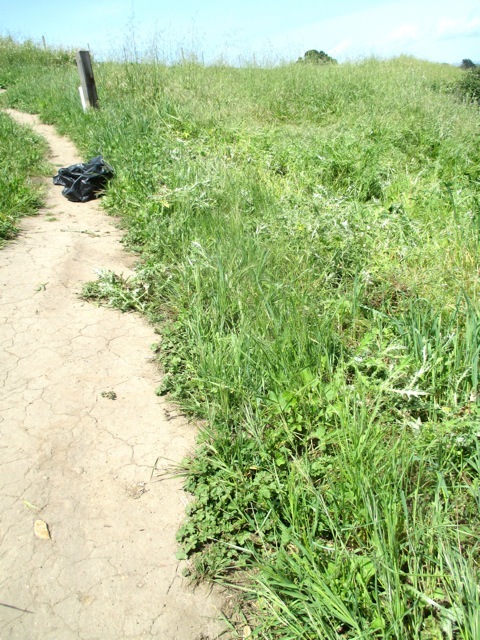 After the main patch (about 80 sq. 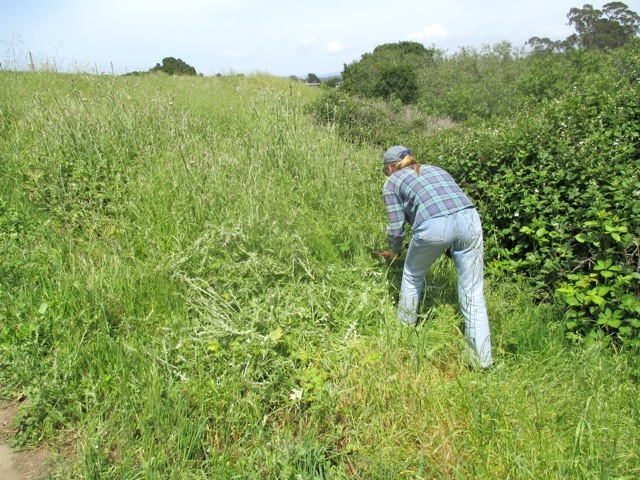 ft.) was fully chopped, we considered how we could use some of the chopped thistle to create a deterrence to the short cuts that were being made to get to the Marsh Vista Trail. 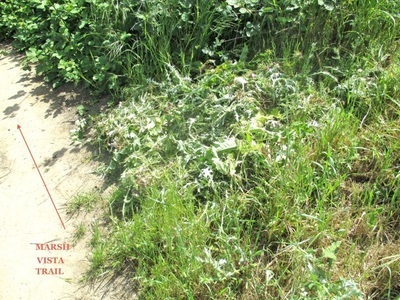 We used the chopped thistle as mulch, covering the already denuded unauthorized paths. Here is a picture of one such spot (this is looking south into the trees of the Marsh Vista Trail), now covered by thistle mulch. It was all bare ground. 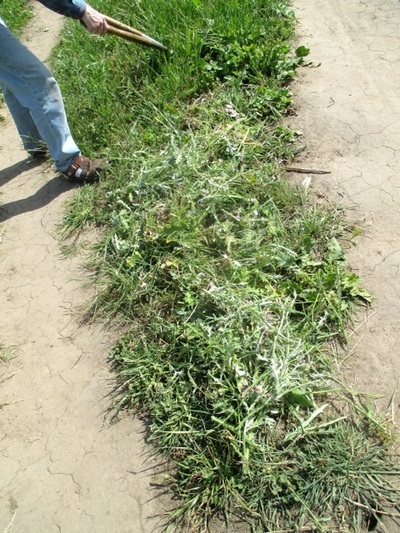 We also thistle mulched the triangle that is getting denuded with people crossing from the Coastal Prairie Loop to the Marsh Vista Trail.